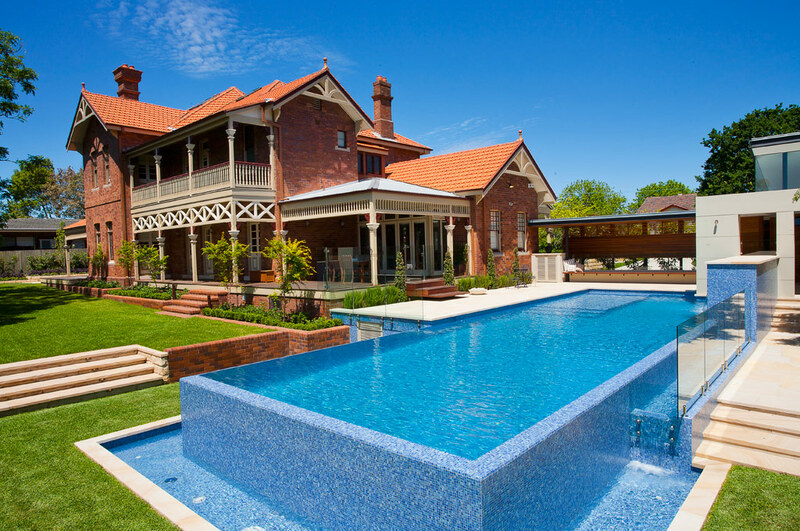 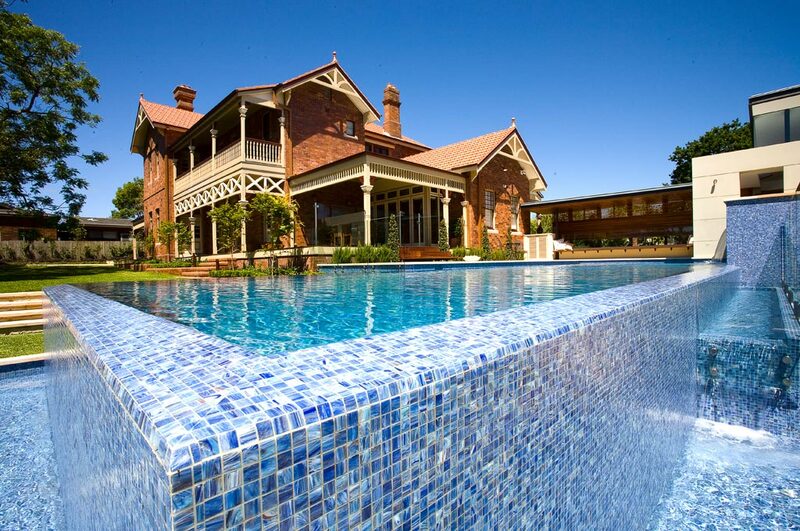 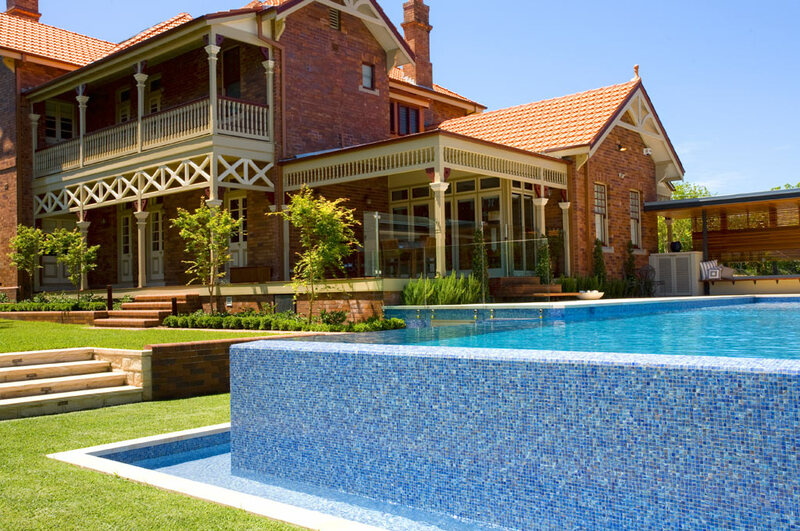 This fully-tiled lap pool benefits from a maximum usable area due to pool elements such as steps, water feature and small beach areas being kept away from the main pool. 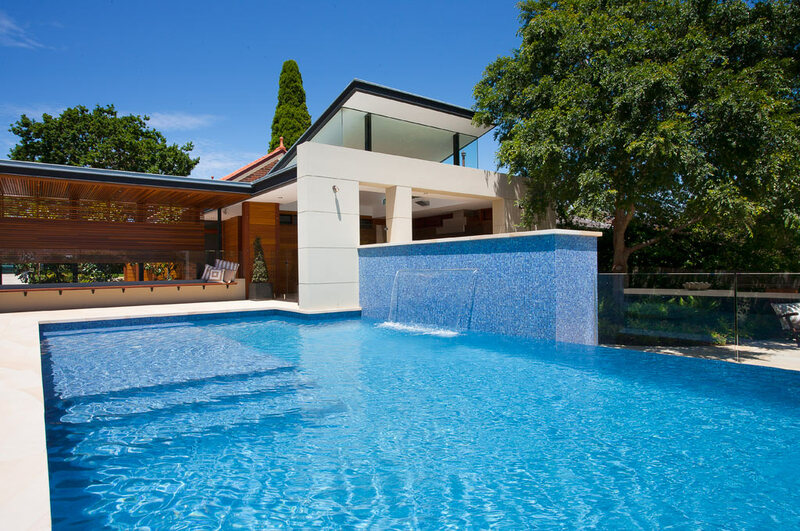 The feature wall is finished in a Stack Stone cladding and has been bordered with a rendered band. 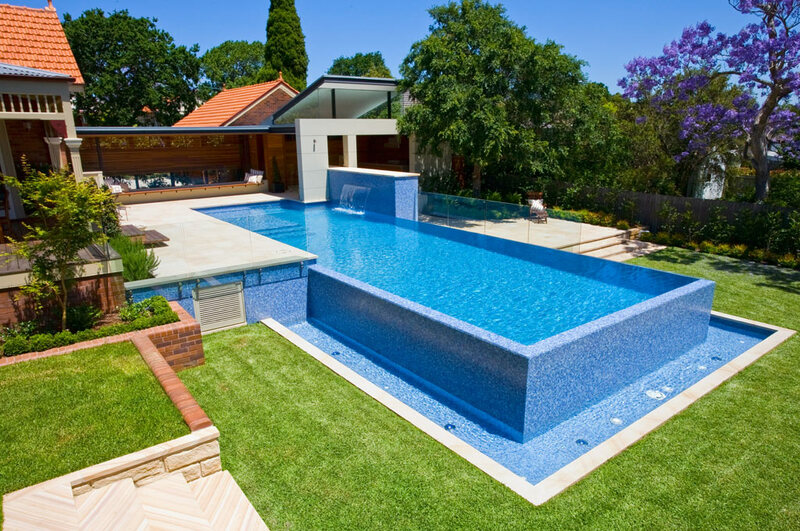 This blends the pool into it’s surroundings connecting the pool to the coping and the rest of the paving. 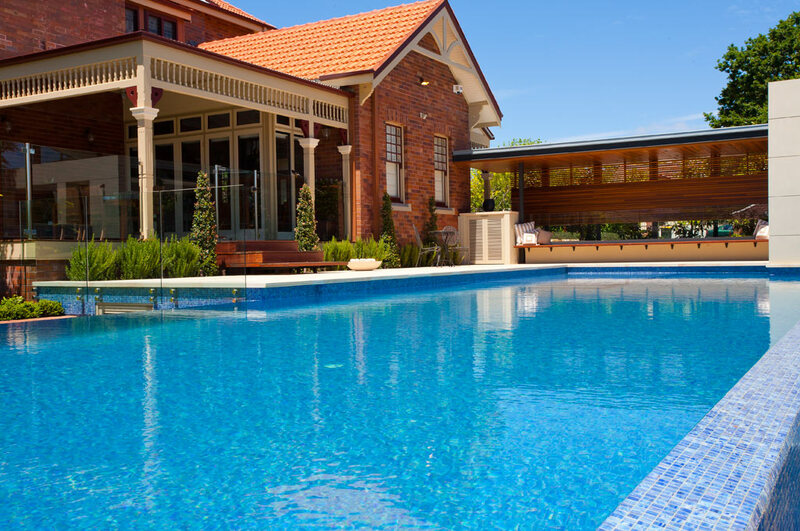 The frameless glass fencing is discreet, maximises visual appeal and finishes the pool off beautifully giving a polished look to the project. 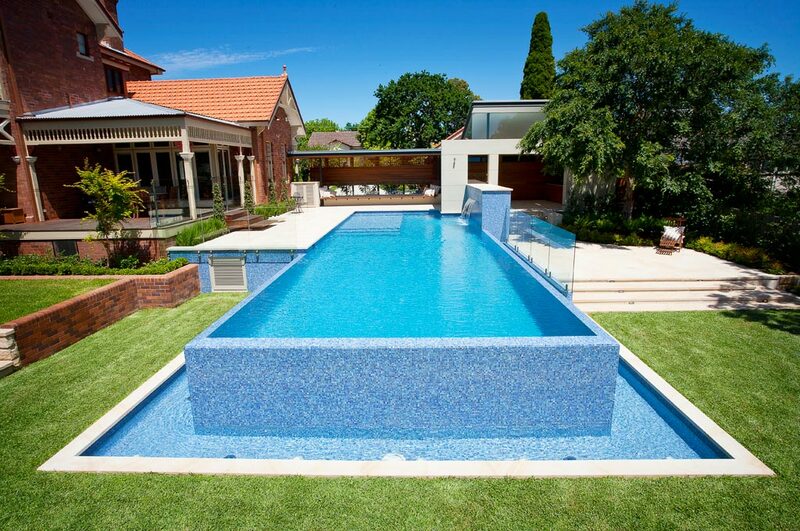 The walkways form part of the pool structure, guaranteeing stability.